Just like the chats, these calls are also end-to-end encrypted. Now, one can also think that this is a group calling and hence a better network connection will be required. 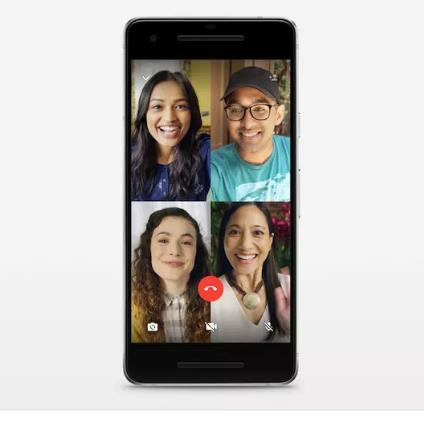 At Facebook’s F8 developer conference this may, Whatsapp announced that it would be launching “group calling” that will support both voice and video. The feature is finally live on the platform for ios and Android users around the world. Whatsapp is one of the most popular instant messengers in the world. One must be thinking about how many people the new group calling feature can support. Well, the answer is four. Up to four people can simultaneously do group calling no matter where they live across the globe. Earlier only 2 users were supported for a video or voice call. To start a group call you have to perform a few simple steps. Firstly, start a video or voice call with one of your contacts. Now, tap on the “add participants” button in the top right corner of the screen that will allow you to add other participants as well. You can add up to three participants for a total of four people in a video or voice call. Just like the chats, these calls are also end-to-end encrypted. Now, one can also think that this is a group calling and hence a better network connection will be required. But this is not the case. The feature has been designed so as it can work with slow networks. All you have to do is get yourself online and you can video chat with friends or family members. Whatsapp has been supporting voice calling since 2014 and video chatting since 2016. Whatsapp users spend around 2 billion minutes on calls per day meaning that this group video calling feature was also highly expected.